Description: Please join us for “Family Movie Night”. Please refer to the information below. 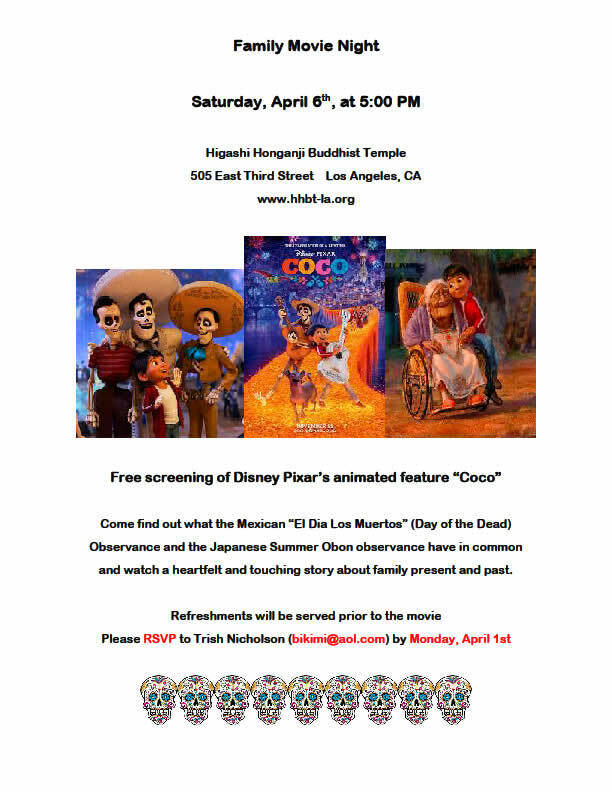 Please RSVP to Trish Nicholson (bikimi@aol.com) by Monday, April 1st.